Around a third of people who visit Wairarapa Hospital identify themselves as disabled, and a quarter of people in New Zealand live with a disability. 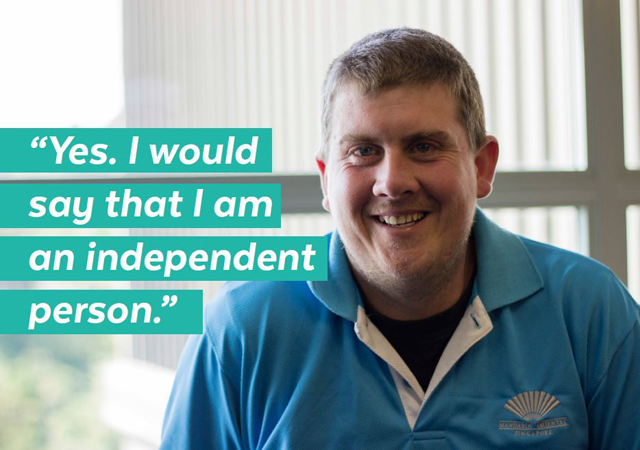 The District Health Boards (DHBs) in our region (Capital & Coast, Hutt Valley and Wairarapa) run a Disability Responsiveness Programme to empower disabled communities, making sure they have a voice within the health system and that their needs are addressed. Find out more about Health Passports. At Wairarapa DHB, a disability alert, an icon shown within patient admin systems to alert the staff member that the patient has specific support needs, will be in place from March 2018. Read more about disability alerts. The Disability Action Group will be set up in March 2018 to improve the way the way Wairarapa DHB works with people who have long-term health conditions and other kinds of impairments. This group is chaired by Dr Pauline Boyles, Senior Disability Advisor. The group is attended by staff from multiple disciplines, all directorates and other professional heads.